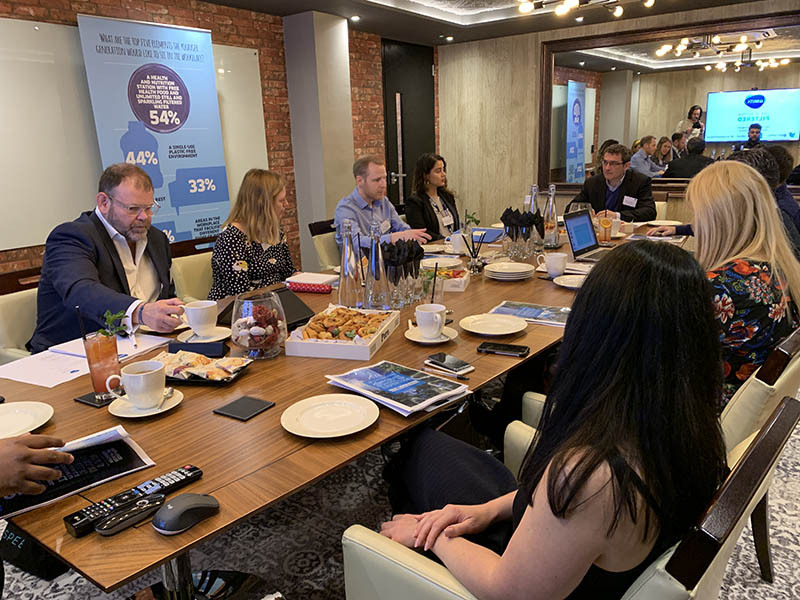 The Life is Better Filtered, Corporate School of Expertise roundtable is part of a new campaign from BRITA Professional, which aims to identify key concerns and issues within the corporate and building sector. 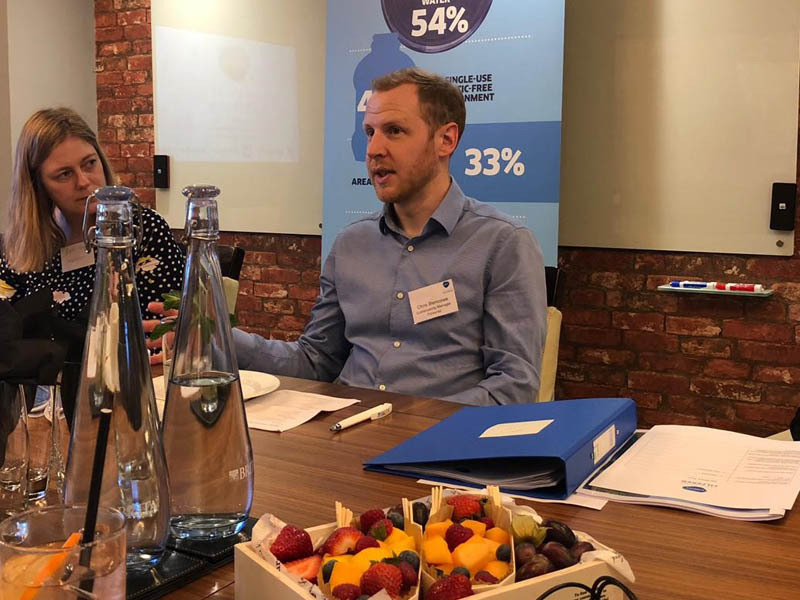 On Wednesday 10 April Parkeray’s very own sustainability expert, Chris Blencowe shared his knowledge of sustainability in the workplace as one of the lead speakers at the event. Attended by professionals from the built environment sector, the roundtable discussion explored how Millennials and Generation Z regard sustainability and CSR initiatives in the workplace; with regards to the physical building and the culture. Having the ability to personalise the working environment is a big draw for today’s workforce. With this in mind, office spaces should be geared up to suit the changing needs of the employees, depending on different tasks or moods, whether that’s dedicated spaces for quiet thinking or collaborative areas that encourage interaction. Progressive office spaces are paying special attention to how the building’s materials and environment can have a positive impact on employee wellbeing. The concept of ‘biophilia’ – which suggests that humans possess an innate tendency to seek connections with nature – is a key trend here. Incorporating plant life into the workspace is a great way to create a tranquil atmosphere and help with mindfulness among employees. When it comes to office design, maximising the use of natural or minimally processed materials and finishes reduces the concentration of harmful chemicals within the internal environment. For further insights from Chris, along with key findings from BRITA’s research, download The Life is Better Filtered toolkit here.